The seven teams are from different departments. Four teams from the Chemistry Department, two teams from the Aryaraka Industrial Chemical Engineering Team, and one other team from the Material Engineering Antenna Team. From the acquisition of nine medals from ITS contingents, three of them were gold medals. Two gold were contributed by two teams from the Chemistry Department at once. The first gold was presented by a team consisting of Alvin Romadhoni Putra, Rahardian Abdul Rachman, Ulva Tri Ita Martia, Wulan Aulia, Alvin Rahmad Widyanto, Wahyu Ariffianto and Anggi Putri Anafiesma. This team initiated the storage of hydrogen from carbon which was tempted by the Zeolite KTZ. 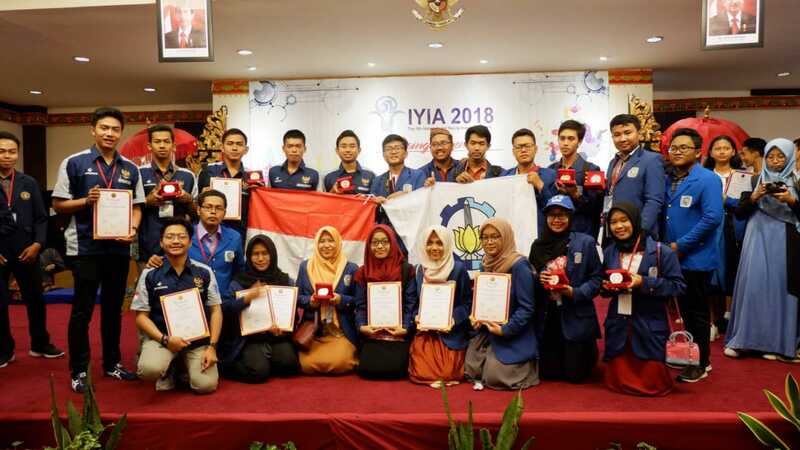 Furthermore, the second gold was obtained from the innovative Microbial Fuel Cell (MFC) this inovation is the mainstay of the team that chaired by Wulan Aulia. “Very happy to be able to compete in the international arena, especially when our team managed to present a gold medal for ITS,” said the student who is usually called Wulan. Even so, Wulan continued, this success was not the end of her team’s struggle, because there were still many processes that should be further developed later. Not only gold medals, two other teams from the Chemistry Department also managed to donate silver medals. While the third gold medal was won by ITS from the Material Engineering Antenna Team. In this four-day event, the Antasena Team carried three works at once namely Antasena Carbon Wheels, Antasena Vledee A-1 and Antasena Al-Air Battery P-1. Through these three innovative works, two of them each received one bronze medal.